Air pollution has a negative effect on a number of different aspects of human health. 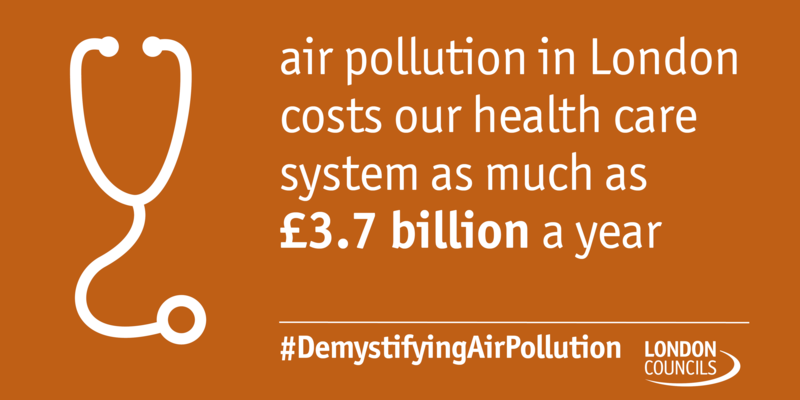 In London, 9,400 premature deaths are attributed to poor air quality and a cost of between £1.4 and £3.7 billion a year to the health service. There are different effects depending on the length and intensity of exposure. For example, short term exposure (a few hours) to high levels of NO2 can irritate the airways and cause severe coughing and exacerbate existing respiratory illnesses, which is uncomfortable at best, and dangerous at worst for vulnerable people (sick and older or younger people for nexample). Long term exposure can contribute to someone developing a number of illnesses, such as asthma, pulmonary disease and lung cancer. It has also been shown to stunt the growth of children’s lungs. 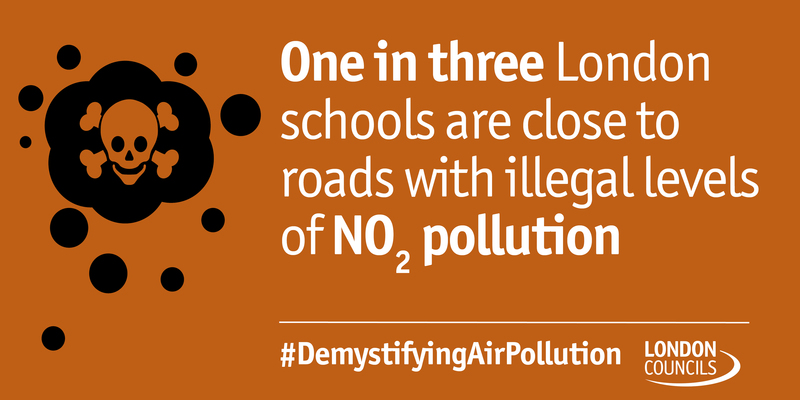 This is particularly worrying, as around one-third of London’s schools have been found to be close to busy roads that suffer illegal levels of NO2 pollution. There is new research that begins to show a link between air pollution and brain function. Some American research even suggests that there is a link between air pollution and dementia, although the understanding of this issue is in the early stages and it is stressed that more research must be completed. It is clear, however, that poor air quality has significant effects on human health and needs to be addressed as a matter of urgency. Poor air quality is also a social justice issue, as people who live in deprived areas are on average exposed to higher levels of air pollution.